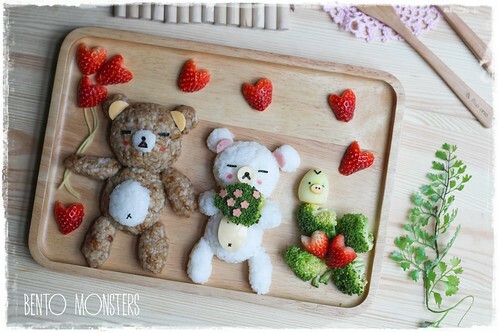 Rilakkuma, celebrating Valentines with Korilakkuma. 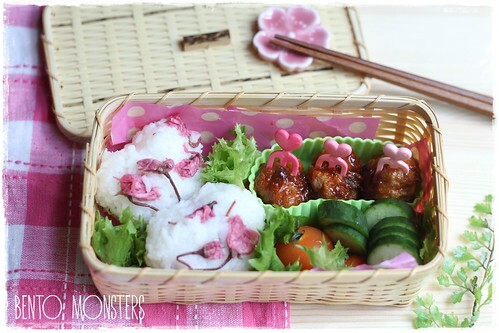 For this lunch, my boys had rice, broccoli, sweet sauce meatballs, grapes and strawberries. 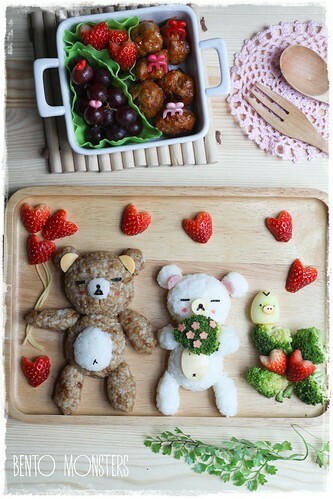 Rilakkuma holds heart shaped balloons made out of strawberries, and Korilakkuma is holding on to a bunch of broccoli flowers, topped with furikake. congrats on the feature at Bento USA! Tk u, Rina, I was actually not happy with it, did not quite turned out the way I visualize. So sweet! I love the broccoli bouquet. Happy Valentines Day! So cute! Love the heart balloons and the bouquet. Happy Valentine!